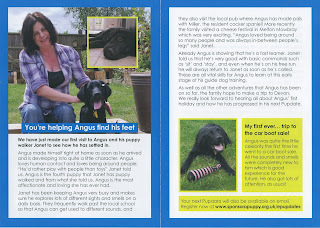 As regular followers of JPM Contractros Ltd blog and facebook pages will be aware, earlier this year we gave our support to two puppies, Amy & Angus (above) who are part of the Sponsor A Puppy cause which provides homes for puppies to begin the journey with the ultimate aim of becoming a full time guide dog for the blind or partially sighted. JPM Contractors Ltd believe this is a marvellous charity to be involved with and would urge our followers and customers alike to get involved and offer their support. This is the first update that we have received regarding the incredibly handsome Angus above, as you will see from the image below, this little chap is settling in with his puppy walker and becoming quite a crowd pleaser. 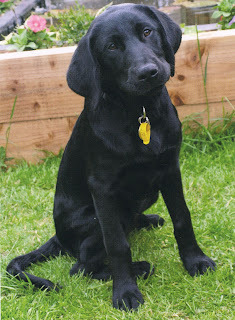 JPM Contractors Ltd are very proud to be associated with http://www.sponsorapuppy.org.uk/. We would like to wish Janet and Angus all the best and thank Janet for the wonderful work that she is doing. This entry was posted in guide dogs for the blind and partialy sighted, sposor a puppy by admin. Bookmark the permalink.